Timing, timing, timing! I was drawn to this Christmas bow because of the vintage feel of it. Initially, I imagined it in combination with a very simple wreath made of branches. I really liked the idea of the contrast between the simple and pure branches and the delicate, vintage-feel of the lace pattern. I really, really wanted to finish it in weeks before Christmas, but I'm afraid I'm running out of time. Well, I'm still going to try! Instead of a bow this might be a table runner with a contrasting colored tablecloth underneath. If you start to crochet this now and have a few evenings you might be ready on time before Christmas eve! 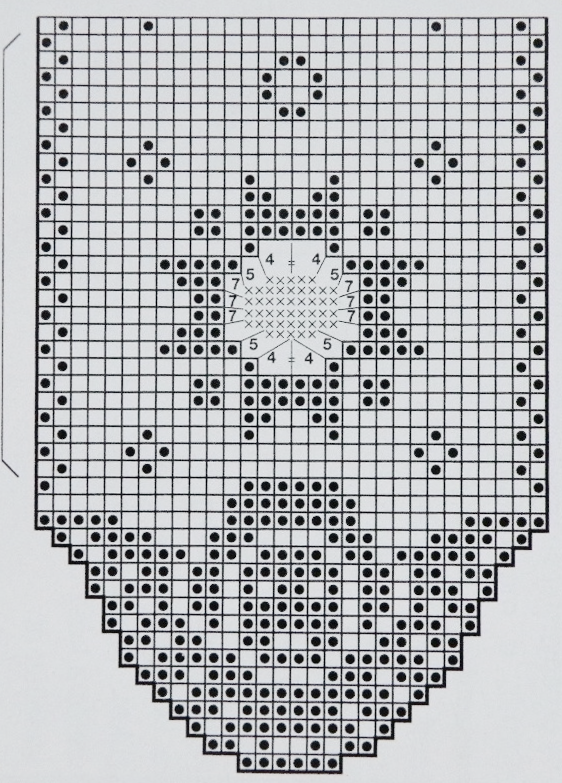 The original pattern comes from a contemporary crochet magazine which means it is probably copyrighted but certainly not available outside some parts of Eastern Europe and Germany. Because most of visitors the here are following this blog from outside Europe I feel I can share the pattern with you. 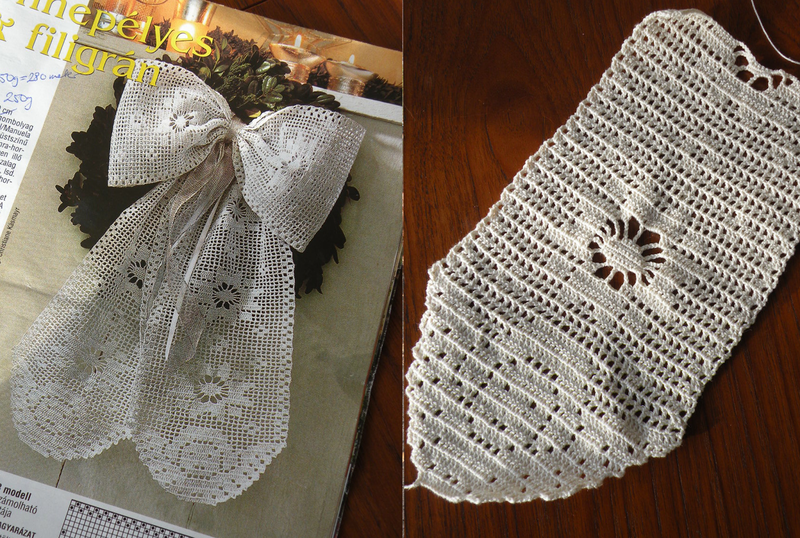 - the original pattern suggests 250 g mercerized cotton (50g=280 meters) with 1-1.25 mm crochet hook. I used the US abbreviations below which are different from the UK abbreviations! Read more about it here! - the crosses in the center of the flower represents single crochets. - the pattern below is the edge, originally there are 11 repeats of the flowers in between.